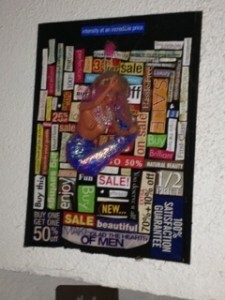 Multi-media collage with barbie doll. this isn't about me. this is about you. you're beautiful, and the world is burning.